Jasmine, known for its white flowers, is a member of the olive family, with a fragrance believed to promote calm and wellbeing. Delicate jasmine blossoms are expertly blended with green tea leaves for a floral fragrant tea to soothe body and mind. Add one teabag to 200mg of freshly boiled water, them simply infuse for 2-3 minutes. 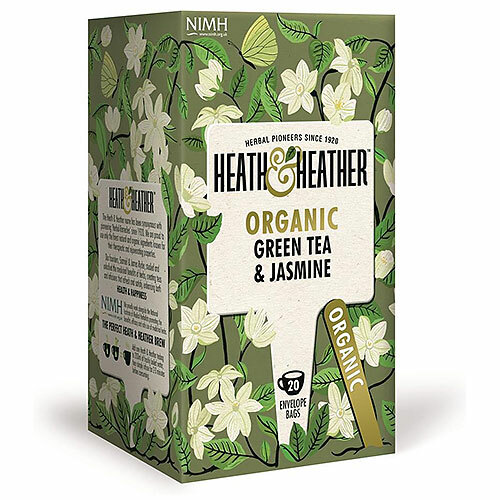 Below are reviews of Heath & Heather Organic Green Tea & Jasmine - 20 Bags by bodykind customers. If you have tried this product we'd love to hear what you think so please leave a review.